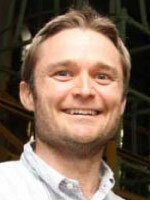 Formerly a Research Fellow under Eric May and UWA Tom is now a lecturer and researcher at the University of Queensland. Tom holds an ARC Discovery Early Career Researcher Award. His research expertise in gas process engineering, porous carbons, pressure swing adsorption, and solid-fluid interactions in coal seam gas reservoirs.